A lot can happen in two weeks. 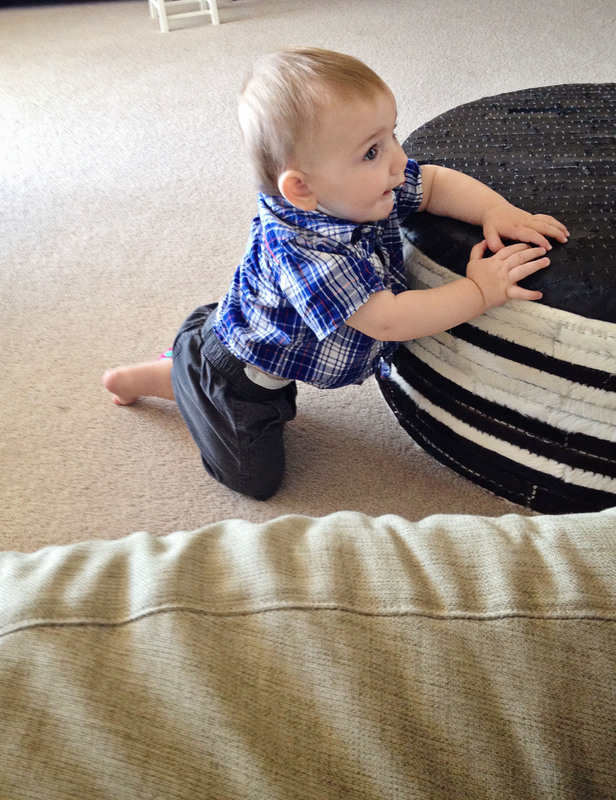 Sorry for the dearth of blog posts. I’ve been a bit derailed by life. More on that later. First, the fun stuff. My first baby turned 3 years old last week! She is such a big girl now. She is so tall and SO smart. We had our first visit with our homeopath, Debbie, last week. Miss Debbie is pretty amazing. She has practiced homeopathy for 15 years but is also a R.N., having studied at a top school in London and is even a certified Montessori teacher! I pretty much love her and Stella does, too (Phill, of course, still has one eyebrow raised, but he’s coming around). 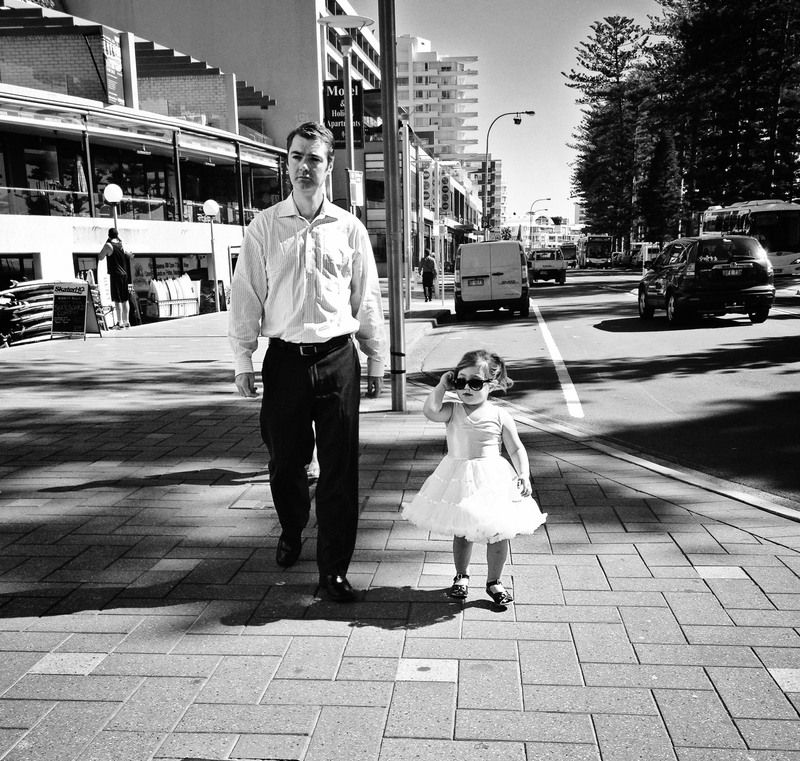 She told us Stella was very advanced for her age, especially with her language expression and comprehension, and that Stella should immediately be enrolled in a dance class as she has the charm and personality fit for the stage. My poppa saw this from the minute he met her because he nicknamed her, “Tilly the Entertainer.” Pop, you were spot on!! 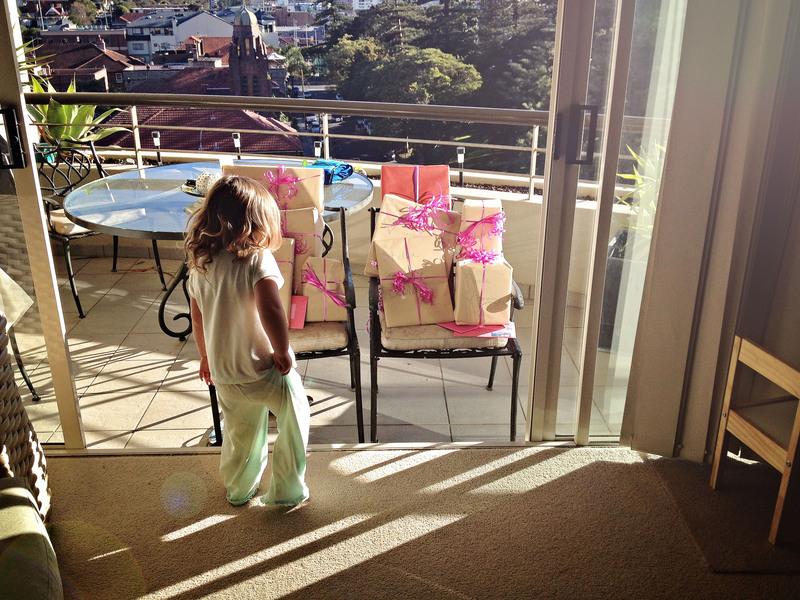 The morning of Stella’s birthday, she was surprised with a massive pile of prezzies and cards from family and friends. She got some amazing gifts. She is very into princess things, as you can see. And Peppa Pig. And she got her first bike! A princess bike, naturally. After prezzies, it was off to her birthday brekkie! We went to one our favorite spots, Hemingways with our nanny Diana (she’s amazing) and our friends Jill, Natalie and Nate. Stella had her birthday babycino and gluten-free toast with jam. She spreads the jam on all by herself! 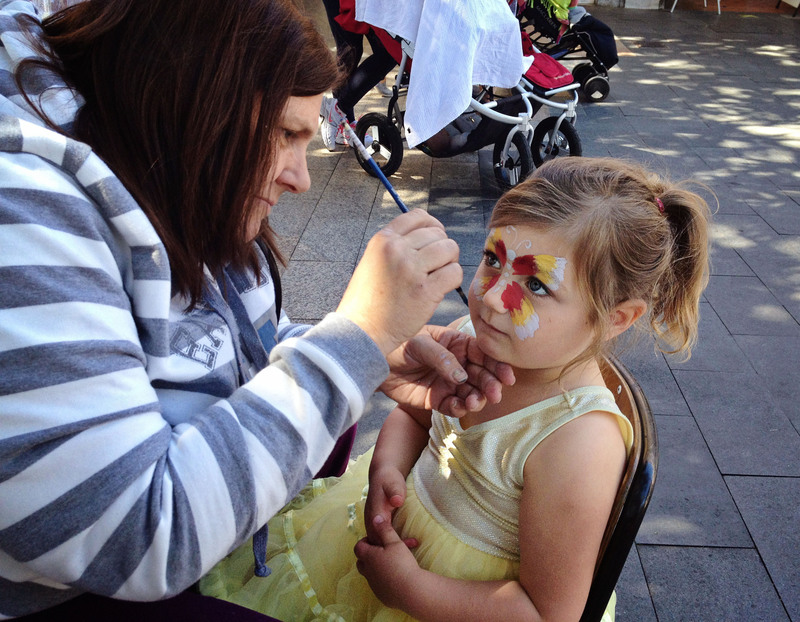 After brekkie, we happened upon some face painting in the Corso. 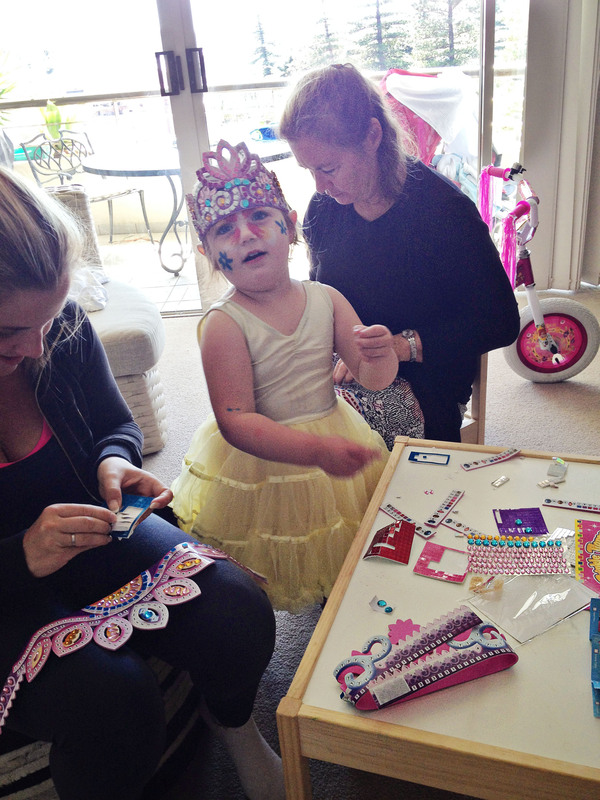 Afterwards, Stella, Diana and Budga made beautiful mosaic princess crowns. If Budga were writing this part, she would want you to know Stella was of no help at all and that she and Diana were tasked with the job. Hired help! 🙂 Just kidding, Budg. Thanks Jerretta for the awesome bday prezzie! Meanwhile, this dude was busy pulling up on EVERYTHING. Anyway, back to the birthday girl. The next day was Saturday and we had a low-key (versus years past) birthday party at our place. We had over Stella’s friends Nate, Natalie, Mila, Kaden & Scarlett. It was our first official party at our place! 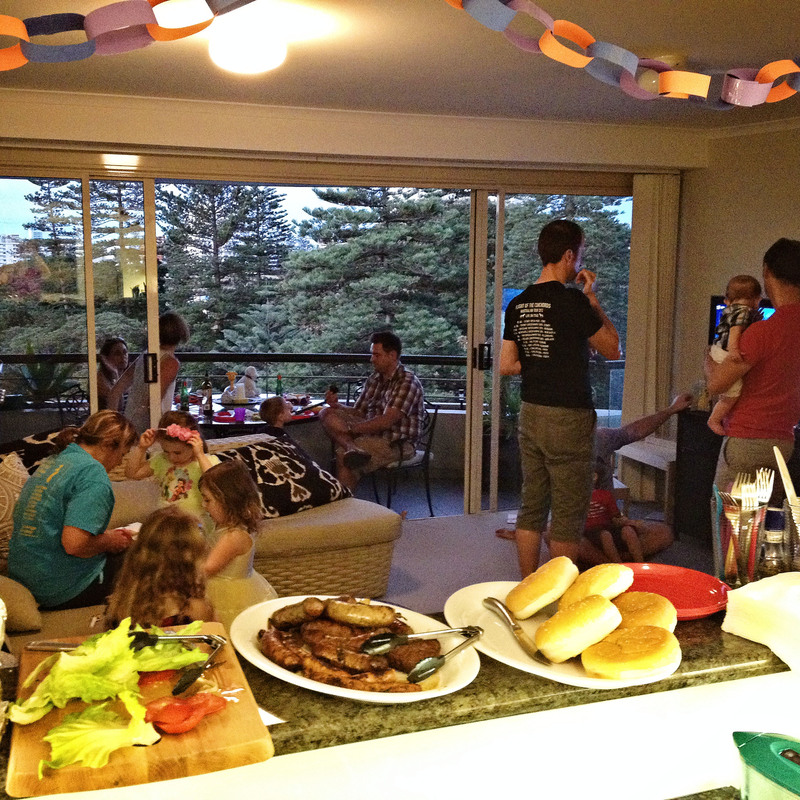 And, in keeping with true Aussie barbie style, we made sure to serve sausages (Aussie speak: snags) and grilled onions. I’m so glad Stella had an amazing birthday. 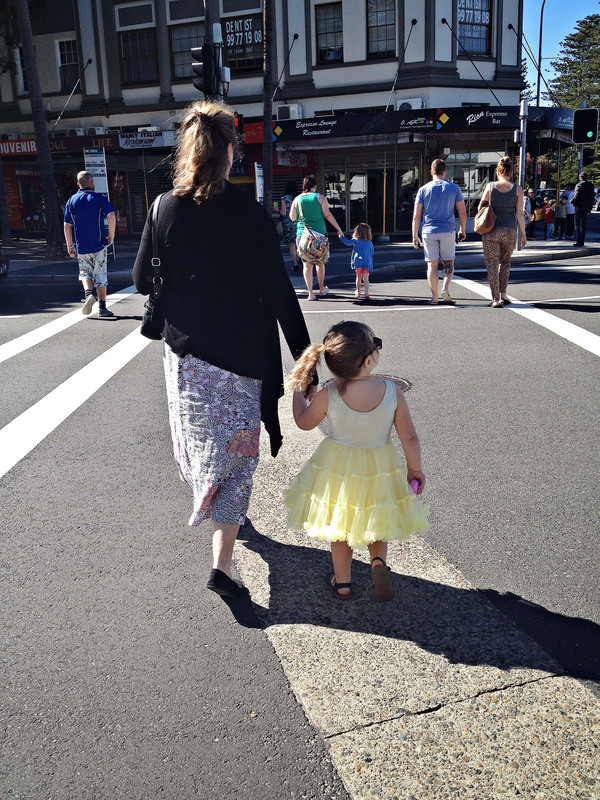 When we realized we would be here in Oz for Stella’s 3rd birthday, I worried it wouldn’t be any kind of affair. Not that it needed to be, but, you know… I wanted to have a celebration. Wanted her to feel the love and experience the joy in a gathering of people there to celebrate HER. 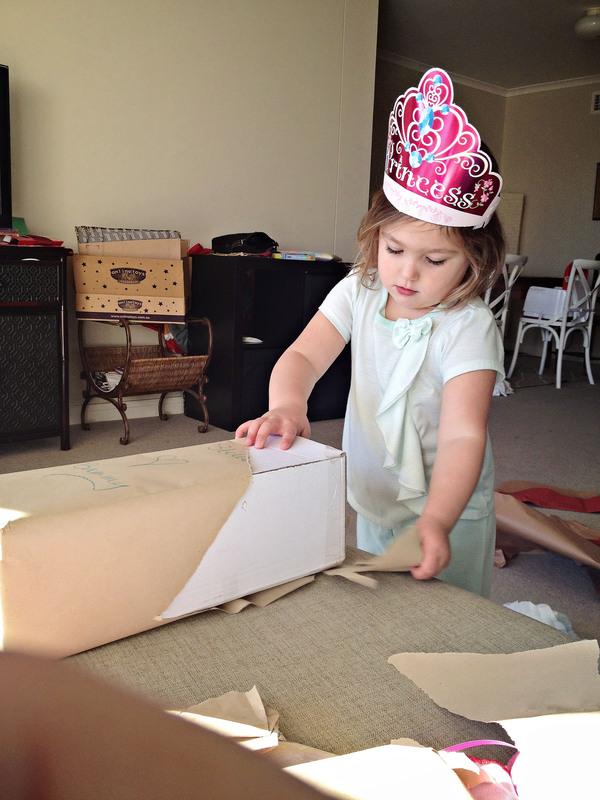 Thank you, Maureen, Buntings, Coviches and Swilleys for making our girl feel like a real birthday princess.